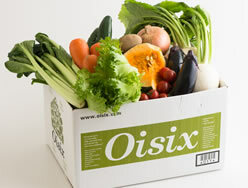 Tavelty ｜Oisix Business Solution｜OUR SERVICES | The official website of Oisix ra daichi Inc.
What is the Oisix ra daichi's seasonal vegetables product, "Tavelty"? We have Business-to-Consumer marketing experience with a total of more than 2 million people, and we have also gained experience through our regular delivery service to more than 6 million houses each year. We offer service, product and delivery know-how that we have gained through those business experiences. 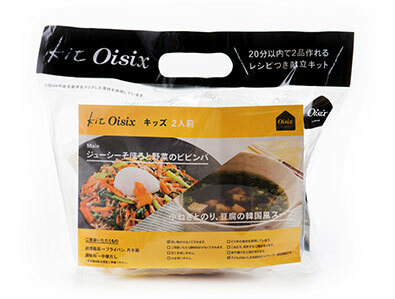 You can have feel secure using our products which comply to "Oisix ra daichi’s" standard in your business. We have an excellent track record! In addition to applying our own safety standards, we run radiation tests on every item we sell. Naturally, we do not compromise on the taste or flavor of the food. 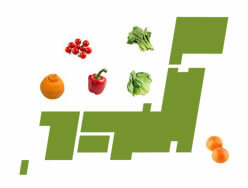 Customers who eat vegetables regularly will be keen to try premium quality products. Excite your customers and get them to participate in a tasting promotion! Our delivery experience with millions of yearly shipments also applies for Business-to- Business marketing. Costumer’s personal information is strictly managed according to ISO certified company rules. A set of carefully selected seasonal vegetables. *The set in the picture is worth 3,000 yen (excluding tax). A set of carefully selected seasonal fruits. Meal kits with recipes for main dishes and side dishes that can be prepared in 20 minutes are available. 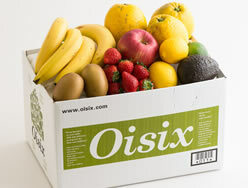 Kit Oisix collaborates with other companies’ products and services. Personal information is not required since we use data on gift card recipients entered in our company's exclusive website. The receiver of a gift catalog can make an order by using an ordering paper, so there is no need to provide your personal information. We also offer the following services! 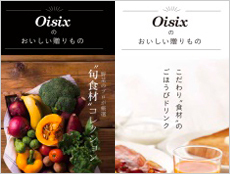 Add the taste of Oisix ra daichi to your everyday breakfast. Ham, sausages, eggs, salad vegetables, etc. 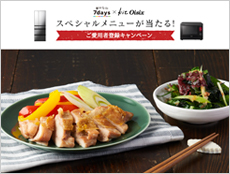 Create recipes using your company's products along with Oisix ra daichi products. *Recipe finder and recipe creation fees charged separately. 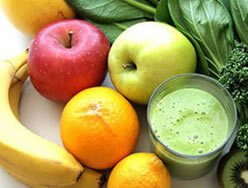 Vegetables & fruits for smoothies. Recipe creation also available. 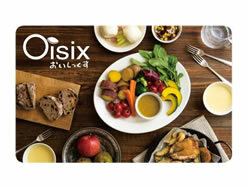 We select food products from a range of 4,500 items sold by Oisix ra daichi according to various themes and categories. We conducted a promotion in which those who had bought certain products such as “New Yakult” received seasonal ingredients for 2 months. We created a “Kit Oisix” exclusively for Dutch ovens from Rinnai and conducted a promotion called “DELICIA 2018” in which all those who purchased “DELICIA” could receive the kit. 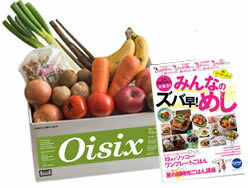 Our products were used as a prize for the "Get spring seasonal vegetables!" promotion these past 4 consecutive years. All applicants in this promotion who collected a certain number of stickers on regular (350 ml) or on large (500 ml) cans of Kinmugi <75% less carbohydrates> received our products.